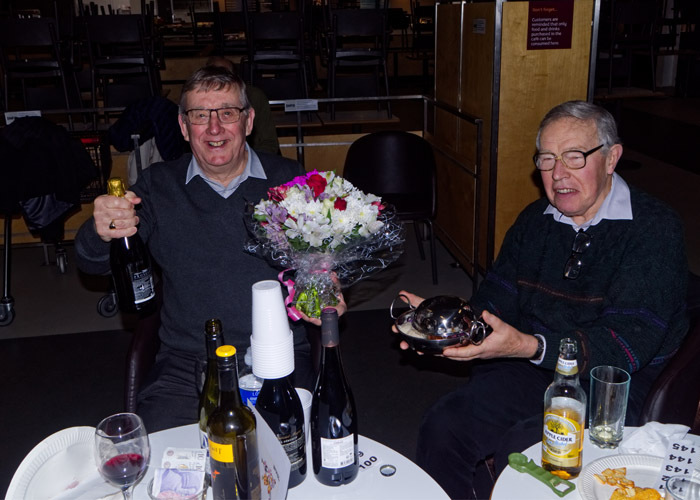 On Sunday 20th January, PCSA Kent and Sainsbury’s staff held a Wine and Wisdom Evening at Sainsbury’s Store Westwood Cross. Seven teams pitted their brains against each other in a great evening’s entertainment. Our thanks to Sainsburys for hosting the event and for organising the half time buffet. Pictured above is PCSA Kent Chairman Terry Laidlaw surrounded by raffle prizes. Terry thanked everyone for coming along to support our charity and thereby supporting men and their families who are affected by prostate cancer.